His writing has been featured in major publications such as Quartz, Techcrunch, The Next Web. He’s presented at conferences in over a dozen countries, including at the Latin American Bitcoin Conference, the World Crypto Economic Forum, the International Money Transfer Conference (IMTC), and the Brookings Blum Roundtable. In 2017, he co-presented the first Remittance Technology Awards at the United Nations Headquarters in New York. 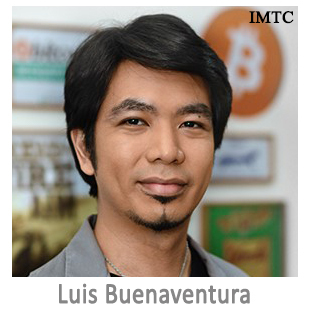 More recently, he was cited amongst the 50 Most Influential Payments Professionals at the World Payments Congress, and as one of the 50 Gamechangers Shaping the Philippines’ Future by Tatler Magazine. Luis has been building tech startups in the Philippines for over a decade, blogs at medium.com/@cryptonight, and is a prolific illustrator at cryptopop.net.